Samsung has come out with a new contender in the entry-level smartphone segment, but it looks like every bit as a high-end device with its design almost similar to phones like the Samsung Galaxy S7. 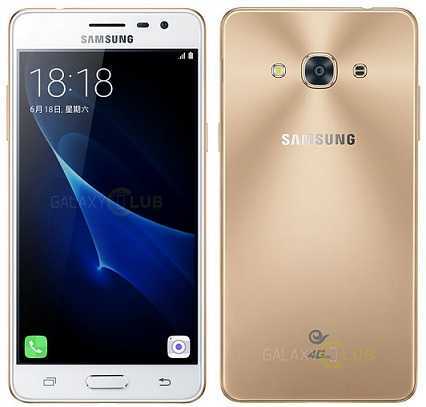 The new device – Samsung Galaxy J3 Pro – has just been announced on the South Korean website of Samsung. It brings some major headlines to the entry-level segment including stunning design and some class leading features. Offering a 5 inch display with 720p resolution is a sure fire way to succeed in the entry-level segment where phones have just started coming with screens of around 4.7 inches as standard. Gone are the days when entry-level smartphones used to be bulky, as the Samsung Galaxy J3 Pro comes in at only 8 mm in thickness. The standout aspect of the display, though, is not the size or the resolution of the screen. Instead, it is the Super AMOLED technology since it is not common at this price point. The Samsung Galaxy J3 Pro is a budget friendly smartphone, which is priced at $130, should it be available in the US markets in the coming months. At this price range, it may be tough to see android 6.0 marshmallow anytime in the near future. It may come as a surprise given that the phone has a quad core 1.2 GHz processor. There is also 2 GB of RAM, which may help in smooth usage of the operating system. There are phones with similar specifications running on the latest android version, but the Samsung Galaxy J3 Pro may be let down by the power hungry TouchWiz user interface. Samsung has tremendously improved the TouchWiz user interface in recent years. It is now less power hungry than ever before, but even then, it may not be sufficient for the Samsung Galaxy J3 Pro. The phone comes with a standout feature in the form of an eight-megapixel camera for the rear. Of course, it may not go head-to-head with the 12-megapixel shooter found on the higher end Samsung Galaxy S7, but it is extremely good in this segment. The front camera is also a very well equipped a five-megapixel shooter with f/2.2 for decent night photography. The phone uses a 2600 mAh battery, which is removable, and should be enough for a day’s usage. The Samsung Galaxy J3 Pro will be available in three colors – white, gold, and black.